The TruView Team will attend VETCON 2017, scheduled for November 28 – 29 at the Desmond Hotel and Conference Center in Albany, New York. The Veterans in Economic Transition Conference (VETCON) brings together veterans, business owners, and government agencies for two days of education, networking, and employment and business opportunities. VETCON 2016 was a resounding success, and the 2017 version promises to build on it. Over 300 sponsor partners, more than 130 New York State agencies, over 100 Service-Disabled Veteran-Owned Businesses, and veterans from across New York will attend. Many veterans will participate in the VETCON 2017 Job Fair on the event’s second day to connect with businesses looking to improve their companies with qualified veterans. VETCON is a unique alliance of diverse private and public, profit and non-profit organizations, dedicated to assisting veterans in transitioning from service to everyday life by providing financial tools, resources, and support, and promoting growth through education, entrepreneurship, and employment. 2017 alliance members are the Tully Rinckey Foundation, Living Resources, Equitable Value LLC, Veteran Business Outreach Center, University at Albany, Direct Impact Associates LLC, Arsenal Business and Technology Partnership, NYS OGS Disabled Veterans Business Development Division, Innovate 518, and the American Red Cross. 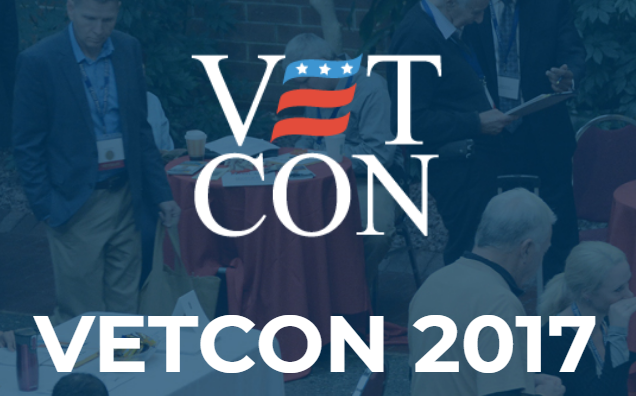 For more information on participating in or supporting VETCON 2017, click here.